The design has taken its ispiration b the avant-grade architecture. A careful study of the functional spaces makes the High Life showe corner easily adaptable even to smaller bathrooms without sacrificing functionality. 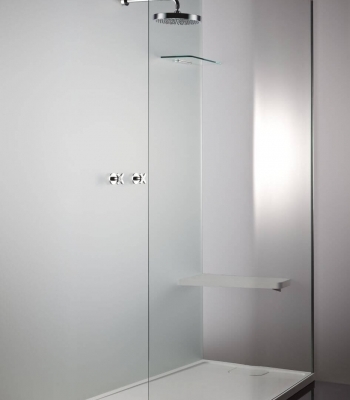 THe shower area can be enriched with a shower seat and a specially designet shelf.